The group's main goal is to exercise their dogs' natural instincts-terriers especially, they argue, were bred to hunt vermin over the past few hundred years. And helping to control the pest problem in New York's alleyways doesn't hurt, either. "Our hunts, they suit both the places we hunt and it suits the terriers-they do what they were born to do," Reynolds, a former foxhunter and dog show judge, says. "They love it, we get our kicks out of it." 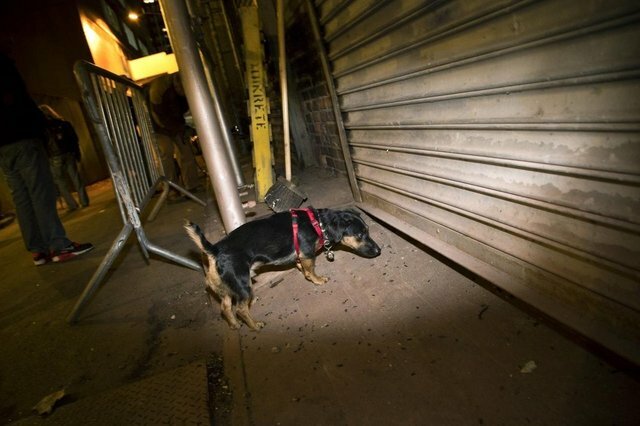 City authorities seem not to care much; rats are little-loved and anything but uncommon, and the group--cheekily calling themselves the Ryders Alley Trencher-fed Society (RATS, for short)--includes veterinarians who are careful to keep the dogs safe from rat-inflicted wounds and diseases. On the other hand: It's still the killing of animals for fun, which we are generally not in favor of. Check out Narrative.ly for the full story (and great pictures).